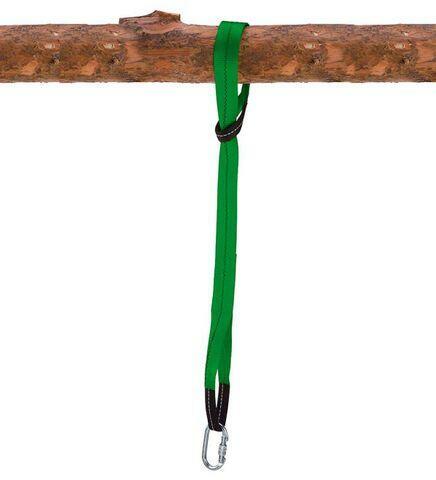 Just loop this super-strong polyurethane Heavy-Duty Tree Hanger around a sturdy branch (must be at least 10" to 12" in diameter) and attach your swing's ropes to the heavy-duty carabiner clips. Requires adult installation (must hang no higher than 18" from the ground). Weight limit: 250 lb.